Children are the key to a successful future and a prosperous nation, yet American children have never been sicker with a vast array of chronic illnesses. Top military leaders report seven in ten young Americans aged 17-24 are unfit to serve in the U.S. military because of obesity, asthma, hearing and eyesight problems and mental illness. 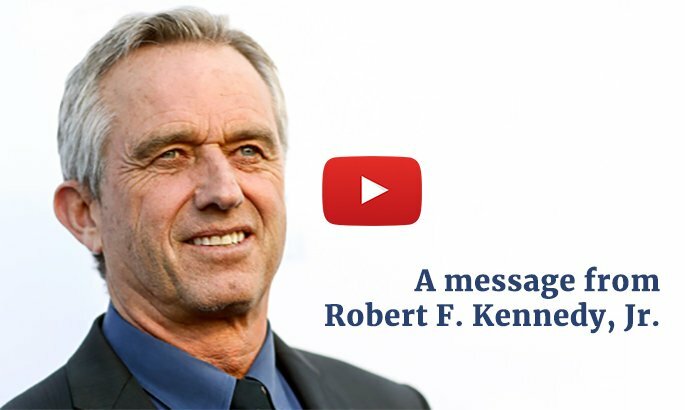 Robert F. Kennedy, Jr. and Children’s Health Defense are addressing this crisis because there is no other issue that more urgently requires our attention. This comprehensive report covers the chronic illnesses now affecting a majority of American children. You’ll learn the suspected environmental culprits—heavy metals, pesticides, fluoride, air pollutants, flame retardants, food additives— and the steps you need to take to protect your children and other loved ones now. Federal officials should be asking the essential question, “What is happening to America’s children?” And, everyone—parents and family, educators, health care and insurance providers, cutting-edge businesses that employ graduates and our country’s military—has a stake in finding the answers and the fight to restore our children’s health. 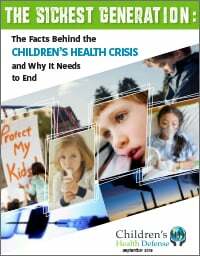 Read more about the facts and the social impacts of the avalanche of chronic illnesses affecting over half of our nation’s children and what you can do to help RFK, Jr. and Children’s Health Defense in the movement to stop the epidemics.